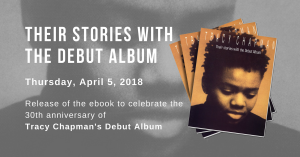 NORTHAMPTON – It was somewhere near the end of Tracy Chapman’s two hour performance at the Calvin Theater on Friday night that she suddenly got the blues. Maybe she was inspired by her own bluesy take on “House of the Rising Sun.” Perhaps she spotted blues diva Shemekia Copeland, who had walked over to catch the end of the set after finishing her own performance one block over at the Iron Horse. Whatever the reason, the result was a standing ovation from a sold out, standing room only crowd at the historic theater as Chapman unleashed her own “Give Me One Reason,” first as it was originally recorded, and then juiced up double time in jump blues fashion. It was quite a finish to what had been a slightly more subdued performance to that point. Chapman, who is touring to support her latest release “Let It Rain,” set a comfortable pace in the early going, obviously building to the aforementioned climax. She opened the show with “Say Hallelujah,” going with a breezy gospel mood, and followed that up with the poignant “Why?” leaning on another of her strengths, the political anthem. Chapman, backed by a six piece band that included a backing vocalist and percussion player, also offered up “The Only One,” a song she had recorded as a duet with Emmylou Harris. She then moved to more familiar ground, traipsing through her early hits with “Baby Can I Hold You,” and the escapist classic “Fast Car,” which inspired the first ovation of night. Joseph Arthur opened the show with a 45 minute set. Lisa, 08/16/03: This was my second time seeing Tracy. My first time was at the Pines Theater a few years prior. She was great the first time I saw her, and even better the second time. She spent time talking to the audience which I think is very important…and the energy she had on stage was remarkable. She played to a packed house and people gave her a standing ovation on more than one occasion. After the show, my friend and I stood outside her tour bus and after around 45 minutes, she came out and took the time to sign some autographs for her fans. Any artist who takes those extra few minutes to put smiles on thier fans faces is worth seeing again and again. We can’t wait until she comes back! !